I have kept Sara Avant Stover’s book, The Way of the Happy Woman on my bedstand year-round for many years. It is a constant reference to help me tune into the rhythm of living seasonally. I love that the timing of this week’s episode of Extraordinary Women Radio with Sara aligns with the coming of Fall! Such beautiful Universal timing! Fall is the perfect time to harvest the hard work in your life and to shed anything not serving you. Sara shares how you can move into Fall in a heart-aligned way. She will share how to courageously follow your inner truth and listen to your heart, even if you don’t know how you are going to get there! Her authenticity and vulnerability brings great wisdom to how we keep stepping up, even when life gets messy – as it bound to for each of us at some point in our lives. We chat about life purpose, fierce love, healing, empowerment and trusting the Universe. 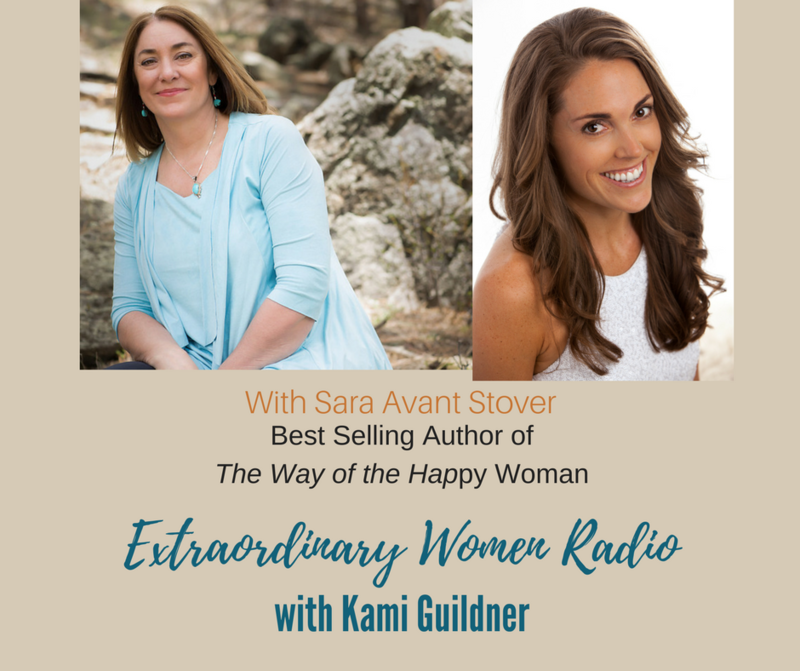 Sara is a teacher of feminine spirituality and empowerment, bestselling author, and founder of The Way of the Happy Woman and recently launched her newest book The Book of She. In her early 20s, Sara had a cancer scare – and moved to Thailand shortly thereafter – which embarked her on a decade-long healing and spiritual odyssey throughout Asia. This journey led Sara on a quest to uplift tens of thousands of women worldwide. Sara has been featured in Yoga Journal, the Huffington Post, Newsweek, Natural Health, and on ABC, NBC, and CBS. For more about Sara, visit her website at thewayofthehappywoman.com. Let’s meet Sara Avant Stover!